An additional source of allicin. 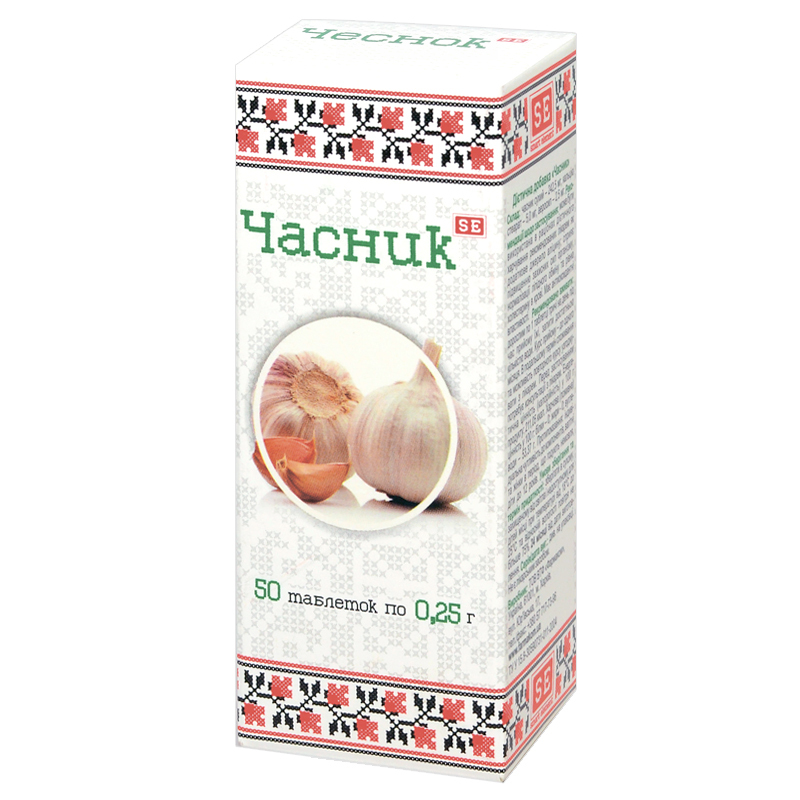 It promotes improvement of body defenses, normalization of lipid metabolism and cholesterol level in blood. It has antioxidant properties. Dry garlic – 242.5 mg, excipients. Garlic contains a complex of biologically active compounds, providing multiple effects on the human body: it has antiviral, anti-inflammatory, antifungal, antibacterial effects, provides for normalization of intestinal microflora, increases body resistance to catarrhal and infectious diseases. Garlic contains a great amount of allicin, which is the strongest antioxidant and is able to decrease cholesterol level in the body indirectly, thus reducing the risk of atherosclerosis, and is able to prevent development of cardiovascular diseases. Adults take 1 tablet thrice a day with food, wash down with sufficient amount of water. Further, the term of use and the possibility of repeated use are to be agreed with a doctor. Proteins – 0 g, carbohydrates – 53.37 g, fats – 0 g.